I saw this design and immediately gasped because it was so lovely. 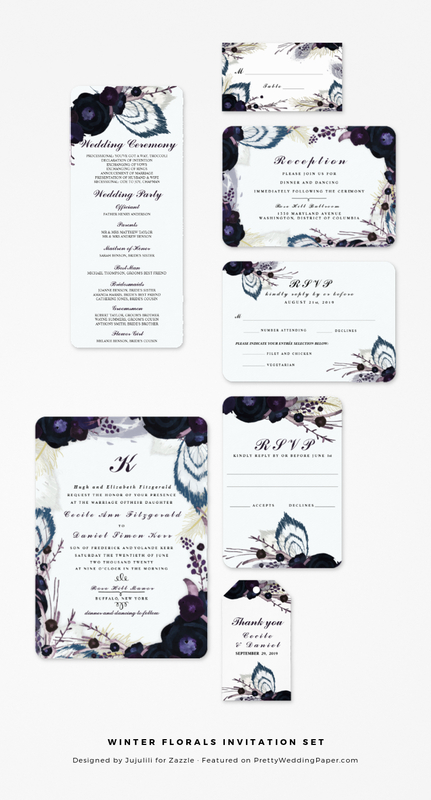 The opulent feathers, the glamorous purple florals, the classic monogram and wording, the sophisticated winter feel – what’s not to love! Find it here. 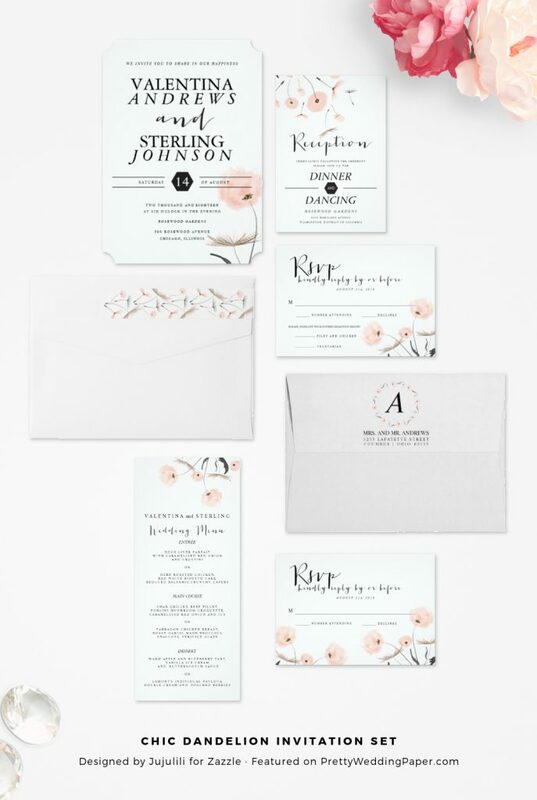 Both sets come with matching RSVP cards (available with or without meal choice options), reception insert cards, and other details such as favor stickers and wedding programs. Matching items available at the following links: Dandelion Wedding Suite and Winter Garden Wedding Suite. You can find more designs by JujuLili right in her Zazzle shop.